One of the few complaints we get about our website is that we have too many downlights. Customers aren’t sure which ones to choose. Within the Collingwood Lighting range alone there are over 25 different versions. That doesn’t sound like too many, but each of these versions has different colour temperatures, finishes and beam angles. Most of them now have removable bezels, which makes it considerably less variation’s to stock…But still, that’s potentially over 600 different types – just from one brand. Collingwood downlights go under the sub brand name of Halers. Collingwood originally set up Halers Lighting as a standalone division within the Collingwood Lighting group. 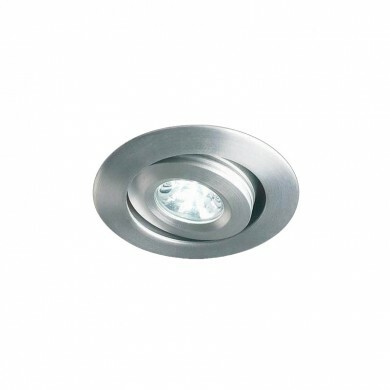 Halers are a premium quality range of integrated LED downlights that are highly reliable. Collingwood Lighting were one of the very first manufacturers in the world to produce an integrated and fire rated LED downlight. This was closely followed by the game-changing Halers EvoLED. The EvoLED represented a huge leap forward for integrated LED lighting in general. It was also more affordable than the FireLED which helped to make it a huge commercial success. But do they make too many different types? Downlight connoisseur; Chris Horridge investigates. The multi-chip design was from the original EvoLED LED downlight which had 3 LEDs. Multi-chip technology came out many years before the singular COB (chip on board) even existed. The multi-chip design was the benchmark for integrated downlights for many years. With many other brands replicating this product over the years. The multi chip version can be found in the H2 Pro 550T version while the H2 Pro 700 has the singular chip. But the H2 Pro 550 is also available in a single chip version, known as the H2 Pro 550 SPS. SPS stands for single point source. Singular COB chips are becoming increasing popular as they have improved optics, better light distribution and look better. Less unsightly than the now dated multi-chip design. Then you have fixed and adjustable downlights. Fixed versions shine the light in only a downwards direction. Adjustable downlights can be tilted by around 20 degrees allowing you to direct the light onto a different object or area within the room. Generally, the H2 range is fixed and the H4 range is adjustable. Adjustable downlights can be used in sloped ceilings, or in rooms were you can’t install the downlights in the positions you want them, due to joists or obstacles. You can then use adjustable downlights to off-sett the angle of the sloped ceiling or to direct the light onto the area where its needed the most. If you don’t plan to change the angle then choose fixed, they usually cost considerably less. The H2 Lite series is a more economical range. Only available in 2 finishes, it has a light output of 440-460 lumens. It’s also insulation coverable, which allows you to place thermal loft insulation directly over it. Many of the other Halers downlights require additional accessories for this. Available in single or multi-chip styles, the H2 Pro 550 is the most popular seller in the series. It has a mid range brightness of 480-580 lumens and is ideal for the majority of lighting installations. The H2 Pro 700 is designed as a low energy alternative for a 50W low voltage halogen. As low voltage halogens have a brighter 800 lumen output. Compared to 350-400 lumens for a mains voltage GU10, their aren’t many downlights that can truly replicate the same light output. The H2 Pro 700 does with its impressive 700-750 lumen output. It also has a nice, wide 55 degree beam. This makes the H2 Pro 700 a great option for use in larger rooms, like living rooms. The brighter light output and wider bream spreads more light out further allowing you to space the downlights out further and to install less. Generally H4 Pro downlights are adjustable, they are available in single and multi-chip versions. Available in 550 and 700 styles, with lumen outputs of 550-580 lumens for the H4 Pro 550 model and 700-750 lumens for the H4 Pro 700. The H4 Pro 550 shown below has the multi-chip design and its also available with the singular chip. As well as being adjustable, H4 Pro adjustable downlights are IP65 rated. This combination is fairly new to the lighting industry. Now you can have adjustable downlights in the bathroom. By setting the LED light source further back into the fitting, the light reduces direct contact with the human eye. This reduces glare and has a more modern looking appearance. The H2 Pro Elect is also available in a dim to warm colour temperature. Dim to warm dimming, not only dims in brightness but also in colour temperature. This mimics the effects of a halogen. It can be used to great effect in restaurants, dining rooms or bathrooms. Another dim to warm version is the H2 Pro Dusk downlight. Trimless downlights are plastered into the ceiling. This reduces the hole size aperture and makes them less noticeable in the ceiling space. Collingwood have 2 versions of this with the H5 Trimless and the H2 Pro Elect Trimless. Then you have different colour temperature options for each version. Most models are available in 2700K, 3000K and 4000K. As well as colour temperature switchable versions. Known as CCT adjustable downlights they give you the option of being able to change the colour temperature. Some have switches that are located on the front which makes them easy to switch and some have switches on the back of them. 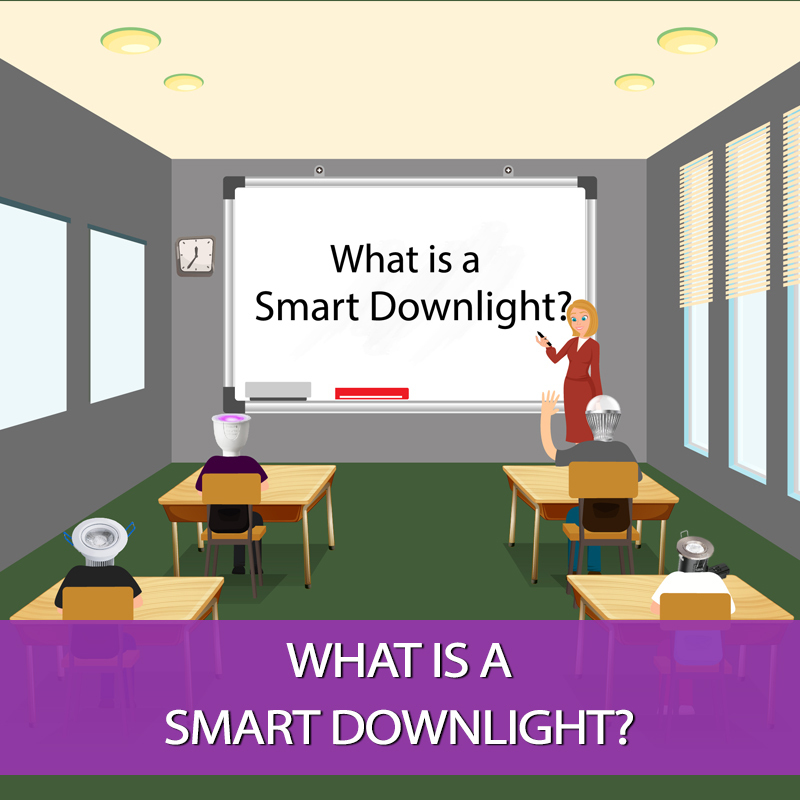 Some can be adjusted using a wall or dimmer switch. 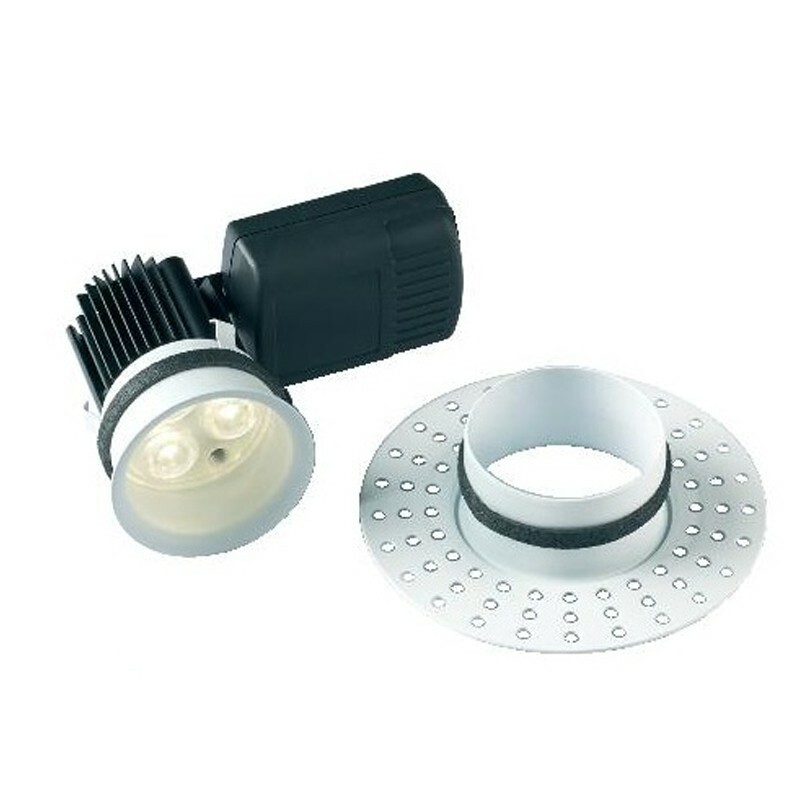 Collingwood still also sell certain downlights with or without the T connector. This is something we have drawn a line on, we only list the T connector version on our website. The T connector is a push-fit wiring connector that speeds up installation times. For the low cost if it, it really saves time and I’m not sure why you wouldn’t want it? 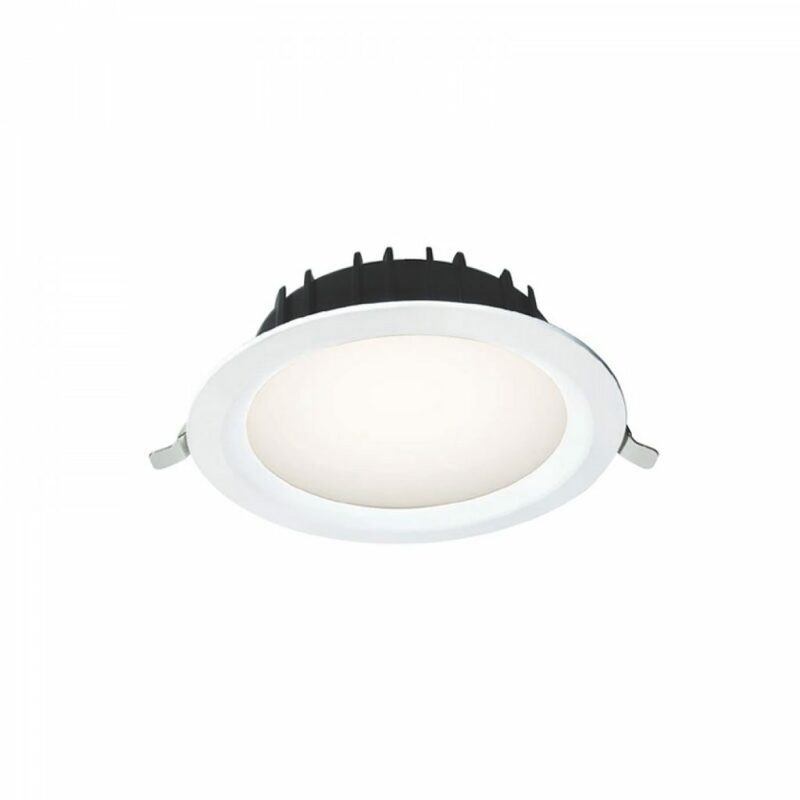 Collingwood also offer a range of commercial LED downlights. These brighter recessed downlights have considerably higher lumen outputs. They are designed to replaced 2x26W CFL downlights and are ideal for new installations. The Halers H6 shown below has a light output of 3010 to 3350 lumens. Something Collingwood do need are a better miniature downlight range. LED spotlights with smaller hole sizes. These would really compliment the range. They do have the the DL120 but it’s not fire rated and only 82 lumens. This leaves a big gap between the others in the range. As premium style LED downlights, I’d like to see some higher colour rendering versions. High quality GU10 LEDs like Philips Expert Colour now have a colour rendering index (CRI) of 97. This is compared to a CRI of 80 for pretty much all of the integrated LED downlights around. As integrated LED downlights are marketed as a better, more advanced product, they should be superior in every way possible.